Straight from the Puppy Fashion Center of the World - this cute little number will just boost your angel puppy to the top of dog fashion! Very trendy and casual with intermittent gingham and cotton on the back. 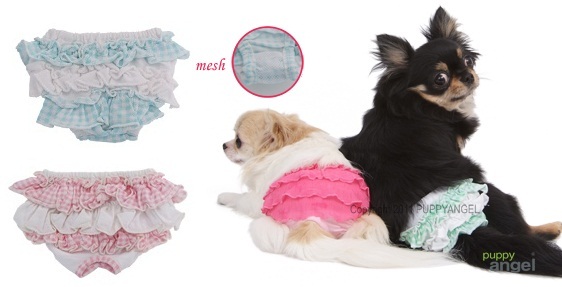 There is a hole at the back for your dog's tail to pop through and a mesh pocket inside to keep a pad.